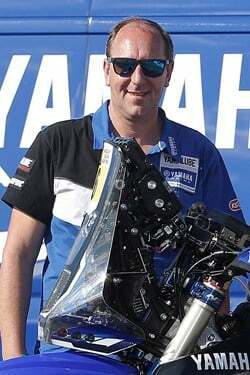 With three stages remaining in this year’s Dakar Rally, Yamalube Yamaha Official Rally Team’s Adrien Van Beveren is currently holding on to a strong third in the rally’s provisional overall standings with Yamaha France supported Xavier de Soultrait following in sixth. Ready to enter the rally’s home stretch the two Frenchmen together with Hélder Rodrigues will continue their battle to bring Yamaha as close as possible to the top step of the final podium. 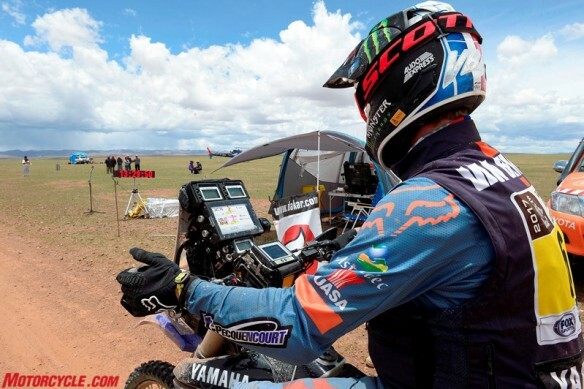 Following the cancellation of today’s stage nine the trio of Yamaha Racing riders together with their team crews have all arrived in the city of Chilecito. With weather conditions having played a major part in the rally this year competitors and team crews will now have to face temperatures reaching up to 40C degrees, as the Dakar Rally heads south and towards the low altitudes of the Argentinean plains. 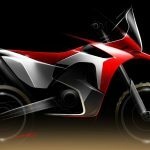 With three quarters of the 2017 Dakar Rally already completed Yamaha Racing riders are still well-placed and well in contention for strong overall standings. 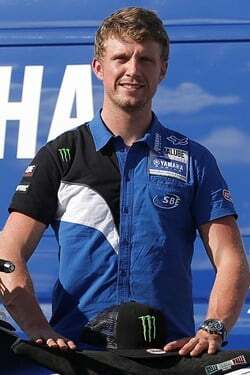 Leading the efforts of the Yamalube Yamaha Official Rally Team is France’s Adrien Van Beveren, who is eight minutes behind the second placed rider and less than half an hour behind the provisional leader. Closely following in sixth is Adrien’s countryman Xavier de Soultrait. Continuing to impress aboard his rally modified WR450F machine, Xavier will be aiming to reach the top five during the final stages of this year’s rally. 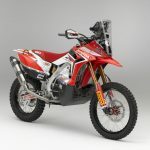 As for Hélder Rodrigues, the Portuguese rider is now 16th in the provisional overall standings and remains focused on successfully finishing his eleventh Dakar Rally. With standings in the Quad class remaining unchanged after the cancellation of today’s stage, Yamaha riders continue to occupy the first three spots in the provisional overall rankings. Leading the pack by six minutes over France’s Axel Dutrie is Russia’s Sergey Karyakin. 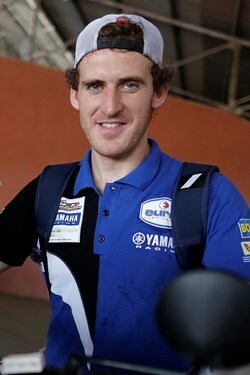 Yamaha Raptor 700R mounted Ignacio Casale is still third in the provisional overall standings, three stages before the finish. Tomorrow’s stage 10 includes 449km of timed special in a total of 751km from the Chilecito bivouac to the city of San Juan. With the day’s timed special featuring some very technical passes, it is expected to be yet another hard day of racing at the 2017 Dakar Rally. I’m happy we finally reached Chilecito and got to meet our team mechanics and crew. The marathon stage has been super long and during the past three days we were not able to get enough sleep. I pushed a lot during yesterday’s stage but made a few mistakes during the second part of the special stage. The good thing is that I managed to retain my third position in the overall standings. Tomorrow’s stage is expected to be long and very technical. I’ll do my best to carefully study the road book tonight. I’m also looking forward to getting some rest so that tomorrow I can be back at it 100%. My goal is to remain focused and avoid mistakes. I’m feeling great on my bike at the moment so the plan is to push hard to go even higher in the overall standings during these last two long stages of the rally. This Dakar has been a huge adventure for everybody but we’re still here and ready to give our best during the last three stages. The cancellation of today’s super long stage reduced my chances to battle to improve my result in the overall, but it is what it is and I need to move on. Overall, I know I could have done a lot better this year. In saying that, I’m really happy for Adrien. 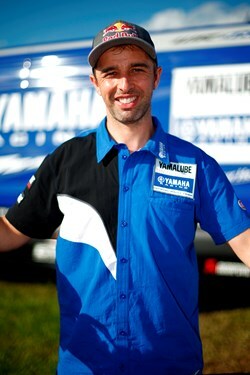 He’s still holding on to a very strong third in the overall and he has the opportunity to put Yamaha on the podium. We have two more long and difficult stages and we need to remain focused on those now. That’s where the final results will be decided I believe. Saturday’s final stage is more like a celebration, an easy ride to the finish. We have a great team spirit and we will all keep battling for the best. Those last few days have been long and wearing but we’re still here and in contention for the top. We’ve raced our bikes through some amazing places since we left La Paz. We’ve been through mountains, little villages and lots of flooded rivers. Those last stages have also been quite demanding in terms of navigation, so it was hard to make a difference. Yesterday I was racing within the first five riders but I made some small mistakes so had to settle for ninth. We arrived in Salta after 1,200km of riding and before our support crews, so we went to sleep at the press office. Our thoughts are with all the local people affected by this natural disaster that hit northern Argentina. The next two stages will be crucial for the final outcome of the race. We’re happy all three of our riders arrived safely today in Chilecito. Our team mechanics have already started preparing the bikes for tomorrow’s long stage to San Juan while our riders are working on their road books. It’s very important for everybody to get some rest after all that we’ve been through since we left Bolivia. Tomorrow morning we will be ready to continue our battle to bring Yamaha to the top. We’re all super motivated to continue this fight during the last three days of the rally. Our goal now is to make sure all three of our riders reach the finish of the following two stages in good shape and without any problems.